The Library is accepting nominations from faculty members for its 2018 Library Undergraduate Research Awards until Feb. 16, 2018. Each individual faculty member is welcome to nominate up to one student for each of the four awards. Following the deadline, the library will contact nominators to request supporting materials, including the students’ coursework. 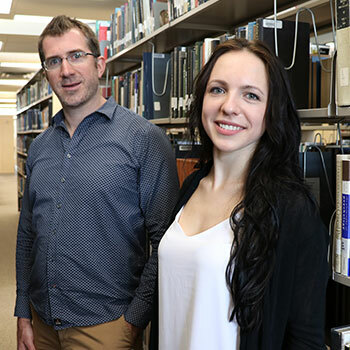 The awards are given to recognize undergraduate students who demonstrate exceptional use of library resources as part of their regular coursework. Academic work must have been completed during the calendar year prior to nomination (for example, only assignments completed and graded in 2017 will be considered for the 2018 award). A total of four awards are given out annually. Two awards, a first and second place are available to any first or second year student, and another two (first and second place) to any student in either the third or fourth year of study. Each first place award is in the amount of $350, and each second place award is for $150. For more information, visit the Awards page on the library website or contact Anne Kelly at akelly@wlu.ca or by phone at 519.884.0710 x3303.